Do we know whether or how the other parties - both federal and provincial - have responded to Joe Oliver's attack? Hmmm. We might have to agree to disagree on this one. The problem with the Ontario pension plan is that it seems to have two goals, one IDs to provide a " pool of capital" for infrastructure as well as provide secure retirement for workers. Sometimes these goals are compatible and sometimes they are not. It seems to m that the fiduciary responsibility of any retirement fund should be to secure the highest rate to the workers who pay in it. So, for example, if faced with a slightly better rate of return on some foreign investment than on domestic infrastructure, you'd consider there's a "fiduciary responsibility" not to favour the domestic investment? In a defined benefit pension plan, there's no duty to "secure the highest rate to the workers". The duty is to earn just enough to be able to pay out the defined benefits. And public pools of investment funds should absolutely be used to favour the domestic economy and need for public services - as is the case with CPP and Caisse de Dépôt. And they're not struggling by comparison with others. Anyway, as I [url=http://rabble.ca/babble/canadian-politics/pensions-part-4?page=1#comment... out above[/url], I'm very pleased that the ONDP supported this initiative (which was theirs in the first place), even though they listened to bad advice by deleting it from the platform in mid-election campaign last year. The ability to learn from mistakes is the greatest fiduciary responsibility one can owe to working people, in my opinion. 1. A duty of care - a fiduciary is expected to bring to the task at hand a level of ordinary skill and prudence that a person would use in dealing with their own property (this standard is lower than the standard prescribed by the Pension Benefits Act). 2. A duty of loyalty - a fiduciary has a duty of loyalty to those persons he or she is protecting and he or she cannot take into account considerations other than the best interests of those persons. 3. Conflict of interest - a fiduciary must not allow his or her personal interest to conflict with his or her duties as a fiduciary. 4. Profits - a fiduciary cannot profit from his or her position as a fiduciary and must account for any secret or undisclosed profit. 5. Even hand - a fiduciary must hold an even hand between competing interests of those on whose behalf he or she is required to act. Given that the security of the benefits for the plan members depends on the return on assets, I think some might disagree with your definition. I wasn't purporting to define "fiduciary responsibility". I was questioning the notion that the only guiding investment principle of a public pension fund necessarily must be to make as much money as possible - with no other criteria. Unlike other investments, whether the rate of return is high or low has no impact on the actual benefits accruing to the "investors" - because their benefit is defined, irrespective of the success of the investments. Yes, the security of the benefits is at play, meaning that if the plan becomes insolvent, it won't be able to pay the full value of pensions. So, guarding against insolvency must be a criterion. Chasing the highest-earning investments always and everywhere? I don't agree. The Caisse de dépôt et placement du Québec's mission is to achieve an optimal return on the deposits of its clients, or depositors, while contributing to Québec's economic development. Created in 1965, the Caisse is now one of the largest institutional fund managers in Canada and North America. The leading private equity investor in Canada, it is also one of the 10 largest real estate asset managers in the world. The Caisse’s financial soundness has earned it the best credit ratings issued by the following credit rating agencies: Moody's Investors Service, Standard and Poor's, and Dominion Bond Rating Service. Sounds contradictory (the part I've highlighted) - but there you go. I don't know whether the CPP investment board has any similar mandate, but maybe it should. As for Ontario's planned fund - same. I am glad that the Quebec plan was able to meet the goal of a secure income for workers as well as provide funds for economic development. My personal experience is quite the contrary. I happen to be in receipt of a defined benefit plan. I am grateful for that as I retired 4 weeks ago and I realize that is a benefit that few have but should be available to everyone. However, the gov. which had a majority on the investment board used the funds for development as well. The fund lost money in several well publicized investments including some Alberta based banks and companies. As a result we negotiated to gain control of the board. Unfortunately, we also now have high premiums to make up for the losses and meet the obligations to our pensioned workers. So my simple point was that the goals of economic development and safeguarding workers income as well as providing a pension income are not always compatible. So even in defined benefit plans a higher rate of return can mean keeping the premiums lower and benefitting workers. I hope I was able to answer your post in a flat tone and ignore the tone of your post. I would not want to be censured again for criticizing you in any manner whatsoever. If ORPP assets are hived off from other provincial assets (not just in name but in practice), that might work. I also agree that chasing the highest return is not appropriate, since risk-adjusted performance is what counts, but a fiduciary standard does not require such chasing. What is true is that, if you were choosing purely between investment A and investment B in the absence of any other investments, and they had the same amount of risk, then you would be obliged to pick the one with the higher return - you would otherwise be failing in your fiduciary duty. If you, as a fiduciary, could rely on an investment policy statement that explicitly said you can't invest in tobacco or weapons manufacturers (for instance), then you wouldn't be breaching your duty, even if those investments would have performed well. And that was the point of my devil's advocate comment above. The Harper government’s refusal to provide administrative support for the planned Ontario pension plan is deliberately obstructive and goes against the democratic will of the people of the province, Unifor says. “In the last provincial election, the people of Ontario sent a clear message that they supported a pension plan for the province to supplement the Canada Pension Plan,” said Ontario Regional Director Katha Fortier. Unifor has been a strong supporter of the Ontario Register Pension Plan (ORPP), as a first step to expanding the CPP. The Harper government has opposed any plan to expand public pensions. In a letter to the Ontario government, leaked to the media Thursday, Federal Finance Minister Joe Oliver said Ottawa will not provide administrative support for the ORPP, such as using the CPP’s existing payroll deduction mechanism to collect contributions. “This is deliberately obstructive, and does nothing to serve the people of Ontario,” Fortier said. Fortier said Unifor will continue to push for a mandatory, universal, defined benefit ORPP that mirrors the CPP/QPP. A New Democratic Party government would protect pensions and prohibit companies from unilaterally changing the rules after an employee retires, NDP Leader Tom Mulcair said Tuesday. “A deal is a deal is a deal,” Mulcair said, responding to a question from Gary Oberg, president of the National Association of Federal Retirees. It is so good to hear Tom Mulcair talk about the 70% of Canadians that do not have a pension plan and promise to expand the CPP and QPP so those Canadians can retire with dignity and respect. He further understands and is committed to defending Defined Benefit ( DB) pension plans. Canadians of all income levels will be well served by a Prime Minister who gets it but that's not surprising given he comes from a family of 10 siblings. Canada has waited a long time for a politician with these credentials to come along. All pension plans should be defined benefit plans and the investment board should have a majority of members selected by the union or workers. A defined benefit plan assumes that somehow someone is guaranteeing the benefit. In a time of ephemeral corporations this is not simple. Also, the idea of a pension plan depending on investments at the current tate of benefits compared to premiums assumes a growing economy, which is somewhat of a Ponzi scheme. Anyone who assumes that the world economy is going to continue growing doesn't know what's going on in the world. That's increasingly true. But I would draw two conclusions: 1) Greater regulatory vigilance over private DB plans. 2) Greater relative reliance on the public plan(s). Nation states aren't yet as ephemeral as corporations, and not all workers are fortunate enough to have workplace plans in the first place. Also, the idea of a pension plan depending on investments at the current rate of benefits compared to premiums assumes a growing economy, which is somewhat of a Ponzi scheme. Anyone who assumes that the world economy is going to continue growing doesn't know what's going on in the world. I'd need to see evidence of that assertion over a sufficiently long period of time. When interest rates are low, the sky appears to be falling. At other times, employers happily take contribution holidays. DB plans (whether public or private) force workers to save, and force employers to dip into profits to pay for work not done - like vacations - only in this case, it's post-retirement work not done. I'm not sure if you're suggesting that premiums need to be increased, or benefits reduced, or reliance on investments reduced, or DB plans abolished. Some of these options might be necessary, if tough medicine. Others would be very regressive. New info under "Employer and Employee Information". So Wynne is retreating as fast as she can - making a mockery of the ORPP - while Harper squeals about how happy he is that he will help sabotage this new "payroll tax". The whole public discourse is controlled by Conservatives and Conservatives-Lite. Only the union movement is speaking truth to power. [T]he Ontario Federation of Labour and the country’s largest union, Unifor, both criticized the number of exemptions Ontario is offering. “I’m disappointed it’s not universal. By destroying the universality of it all, you drive up the administration costs,” OFL president Sid Ryan said after Wynne’s announcement. He also said the plan is “practically impossible.” He wondered, when Canadians are expected to have up to 10 jobs over their working lives, how the money would follow them if they are constantly in the ORPP, then out of it, then in it again. “That’s not what we bought into when we said at the beginning we would support it,” Ryan said, before noting that at least it’s better than nothing given the retirement insecurity across the country. Looks like Sid and Jerry's "seats at the table" had trap doors under them. Fortunately for Jerry, as the leader of a captive union, has parachute. Thanks for the link, ygtbk - sums it up pretty well I think. You're welcome. I disagree with some of Hugh Mackenzie's opinions, but I thought it was worth linking to as a summary. Canada scores poorly among developed countries in providing public pensions to seniors, according to an internal analysis of retirement income by the federal government. And voluntary tax-free savings accounts or TFSAs, introduced by the Harper Conservatives in 2009, are so far unproven as a retirement solution and are largely geared to the wealthy. Those are some highlights of a broad review of Canada's retirement income system ordered by the Privy Council Office and completed in March this year by the Finance Department, with input from several other departments. A heavily censored copy of the internal document was obtained by CBC News under the Access to Information Act. Provincial finance ministers say the federal government should be in no rush to expand the Canada Pension Plan and instead make infrastructure and health spending the top economic priorities. In Ottawa for a summit hosted by federal Finance Minister Bill Morneau, it seemed unlikely a quick agreement would be reached on the pension issue as key ministers urged the government to take time to study all options. Finance ministers will not move CPP reform forward. CARP members are outraged – all Canadians should be. The federal, provincial and territorial finance ministers met, and decided not to begin work enhancing CPP, but to study the issue further. This is despite three years of study, expert recommendations to increase CPP and two elections won on the issue. How would you describe your reaction to this decision? It shows that taxpayers, we dumb working stiffs, contribute 6:1 per year. The average MP pension is 60K. The hypcoricy on this is breath taking. I am especially angry that the Libs ran to the left, had a chance to do the right thing here, and ducked it. We all knwo Morneau said people can easily work past age 65 so how anuyone can take anything he says seriously on this issue is beyong me. The bottom line here is the Libs ARE THE GOVERNMENT NOW! So, there is no way for them to duck showing leadership on this, but they haven't. People are retiring into poverty. There is no reason for this. What is sauce for the goose should be sauce for the gander. I don't care what anyone else did, the Libs set expecctations of improving peoples lives. Here they had a chance to do something TRULY meaningful, and ducked it. And didn't give me the bull about the Provinces. Trudeau could expend captiall on this; he'll never be this popular again. If not now, when? Leaders lead. I'm waiting Justiin! What do you care anyway, you're a trust fund milionaire baby. The hypocircy is stiffling! Barely two months after winning election, and three months after promising to move heaven and earth to improve public pensions, Prime Minister Justin Trudeau and his Liberal government have shelved this key election promise on social policy. Morneau said on December 21 that finance ministers will return to discussion of the CPP in six months time. Or maybe they won't. The early Liberal betrayal is the latest in a string of pension betrayals by Ottawa. This writer has written extensively about this, notably in this February 2014 article. Pensions are not the only election promise where the Liberals are backing away. The Liberal government is failing to withdraw its fighter jets from the U.S.-led bombing of Syria. To add insult to injury for peace-loving Canadians, Defense Minister Harjit Sajjan made a five-day tour to the Middle East just prior to Christmas as part of planning for an expanded military role for Canada in the Middle East. The lesson of the pension experience is that meaningful reforms cannot be expected of the new government in Ottawa. Extraordinary pressure through public education and protest will be required. 600,000 seniors in Canada live in poverty, including more than 1 in 4 single seniors according to new Statistics Canada report. Simple. Properly tax the wealthy and Corporations and increase pensions. That's ALL that is needed. Or are the top 10% nor wealthy enough. Thanks Thatcher! Thanks Regan! Even Martin Regg Cohn is writing a column about how an Ontario climbdown would be a good thing, although he is of course framing it as a victory. An enhanced pension plan along with pharmacare would do a lot to making retirees lives better and it wouldn't cost as much as Conservatives say because there would be savings in terms of health care. I agree that both are necessary, but I don't follow your conclusion. CPP is paid by employers and workers - not the government. So health care savings wouldn't accrue to those who pay. Pharmacare (depending on how, when, whether) would presumably be government as single-payer, as is the current pharmacare program in Québec. Are you sure that retirees living longer, healthier lives (thanks to expensive medications paid by "taxpayers") would actually lead to lower overall health care costs? Are there any studies to that effect? I don't want to sound like the Fraser Institute. I think providing people with the income and the medications and the health care and housing etc. that they deserve will cost lots more money than it does now - hopefully paid for in equitable fashion (i.e. by the wealthy). Arguing that providing better and broader social services is cheaper (to the state) than the alternative seems: 1) factually wrong; 2) a tricky road to go down. The story is light on numerical specifics, so if you've got 'em, please share 'em. Karl Nerenberg has a blogpost about the very modest increase in CPP benefits, and the fact that (many) pensioners in the US actually do better. I don't think that is the case for the very poorest (mostly women) though. Canada's Finance Minister Bill Morneau quietly tabled a bill this week that would give Crown corporations and federal private-sector employers the power to unilaterally back out of their defined-benefit pension commitments. For both working and retired employees, the changes could mean dramatic reductions to retirement benefits they've paid into, budgeted around and assumed would be available for many years. Bill C-27, innocently named the "Act to amend the Pension Benefits Standards Act, 1985," would remove the legal obligation for employers within federal jurisdiction to protect already accrued benefits. Under Bill C-27, a conversion of a member’s or former member’s DB pension requires that members or former members consent to the conversion. A union may consent to such a conversion on behalf of unionized members where the union is authorized to do so. It is not clear from C-27 what type of authority a union requires in order to provide such consent. It may be difficult to get informed consent. I haven't seen much in the press about portable pensions, which is a means of ensuring that even precarous workers can build some kind of pension throughout their working life. At least it would force employers to contribute something to non-fulltime employees' pensions. I think the NDP would get voters' attention in the next election with a commitment to portable pensions. 1. Protect existing workplace pensions. 2. Continue fighting to enhance the existing public, portable, universal plan - CPP/QPP - with the ultimate aim of making employer-sponsored plans redundant. It reads: "Because workers made their voices heard, government has agreed to freeze the anti-pension Bill #C27 and hold consultations." Recall that the bill was tabled in October with none of the usual notice or gesture of consultation with stakeholders. It passed the routine first reading, but hasn't gone to second reading yet. Does this mean second reading will now be delayed until consultations have been held? If so, it's much better than nothing - because I know for a fact that there are members of the Liberal caucus who were taken by surprise (like everyone else), are uncomfortable with this broadside attack, and with the fact that Trudeau violated what he said in summer 2015 to the National Association of Federal Retirees - namely, that he did not support retroactive conversion of earned defined-benefit pension service into target benefit service. I personally know some who are saying (quietly for now) that this is all about Morneau and Bay Street. Their big worry is that without any tangible benefit except to corporations, this will risk losing the "strategic voting" support of some unions, besides giving every retiree with a DB pension a simple kneejerk reason to vote against the Liberals. So... I'll wait for 100% confirmation, but if true, it confirms the old adage: Fighting back makes a difference. On October 19, 2016, Finance Minister Bill Morneau introduced Bill C-27, which would bring in target benefit pension plans for the federal private sector and Crown corporations. Harper’s Conservatives had considered the target benefit plan as a replacement for employees and retirees’ guaranteed defined benefit pensions. Target benefit pensions shift all the risks of pension liabilities away from employers and governments onto the backs of employees and retirees, to be paid through reduced benefits and pensions. In 2013, the Harper government commissioned a study of the Royal Mail privatization. The study revealed that, to facilitate privatization, the U.K. government took on the £8.6-billion pension liability they had guaranteed. Royal Mail’s privatization resulted in the elimination of 11,000 jobs, the closure of a fifth of its mail centres, and the closure of 5 per cent of its delivery offices, with more to follow as shareholders exerted pressure to maximize their profits. Rather than ensuring the government live up to their pension commitments as was done in the U.K., Harper came up with the Conservative solution by taking a page out of Morneau Shepell’s 2012 playbook. Morneau Shepell played a key role in the development and implementation of the outcome-based and risk-managed shared risk plan — a type of target benefit plan. This plan had nothing to do with sharing the risk and everything to do with shifting the risk onto employees and retirees. 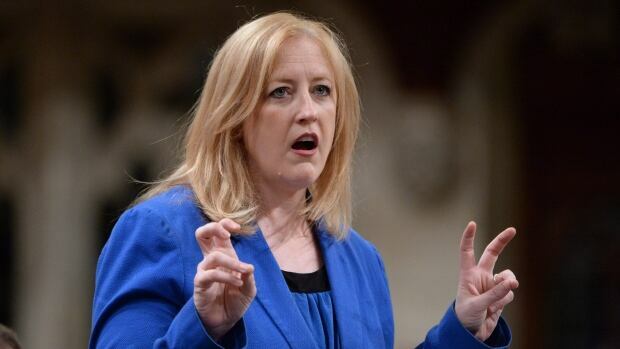 The Conservatives saw the target benefit plan as a way to shift the Canada Post paper pension solvency deficit — $5.9 billion at the time — away from the Corporation and the government, and onto employees and retirees. Without first eliminating the pension solvency liability, no one would buy the profitable Canada Post Crown corporation, which pays yearly dividends to government coffers and has a going-concern pension surplus of $81 million. Going into the 2015 election, the Conservatives shelved their target benefit plan due to opposition from union and retiree groups, representing 6.9 million members. On July 23, 2015 Trudeau promised: “defined benefit pensions, which have been paid for by employees and pensioners, should not retroactively be changed into target benefit pensions. Speaking about pensions, what about the Sears' pensioners, eh! If I understand this all correctly, the difference is between a "secured" creditor (e.g. a bank, who contributed a loan) and an "unsecured" creditor (e.g. a worker, who paid with labour). Personally, I think that the status of employees should be upgraded (though, I suppose, this could make banks and other investors reluctant to invest in a company on the downturn). That said, given that Sears seems to think it can still turn that big ship around, wouldn't it be fascinating if employees -- the not laid off ones -- just said "screw you" and didn't help? Chose to not help Sears pay off shareholders and investors and whatever else?